Hurricanes Happen! : It's Opening Day! 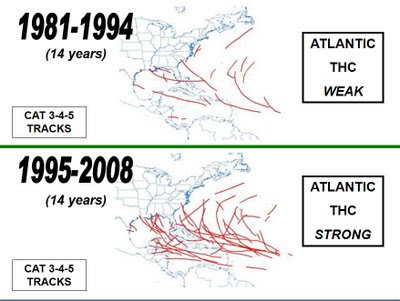 My take away from this presentation, which is based on historical data and their April predictions, is that we are looking at an average to slightly above average Hurricane season, based on the lower image. 54% probability of at least one major (Cat 3-4-5) hurricane landfall somewhere on the U.S. coastline (compared to 52% average for the last century). Florida is at a 32% probability (31% for the last century). Tomorrow we get their updated Seasonal Forecast. Find out more at the Colorado State University Tropical Meteorology Project website.